NORCO - Did You Know? - "Bottle Jacks"
If you’re tired of “throw-away” quality bottle jacks and are looking for a quality, repairable, bottle jack, you’ve come to the right place. Our customers regularly tell us that the NORCO / KYB bottle jack is their number one choice when it comes to selecting quality bottle jacks. From top to bottom, inside and out, these jacks were designed for superior performance. 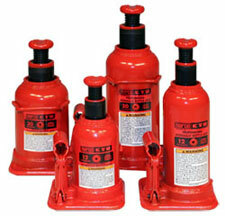 First, all NORCO / KYB bottle jacks are made with a No-Leak, Uni-Weld construction. 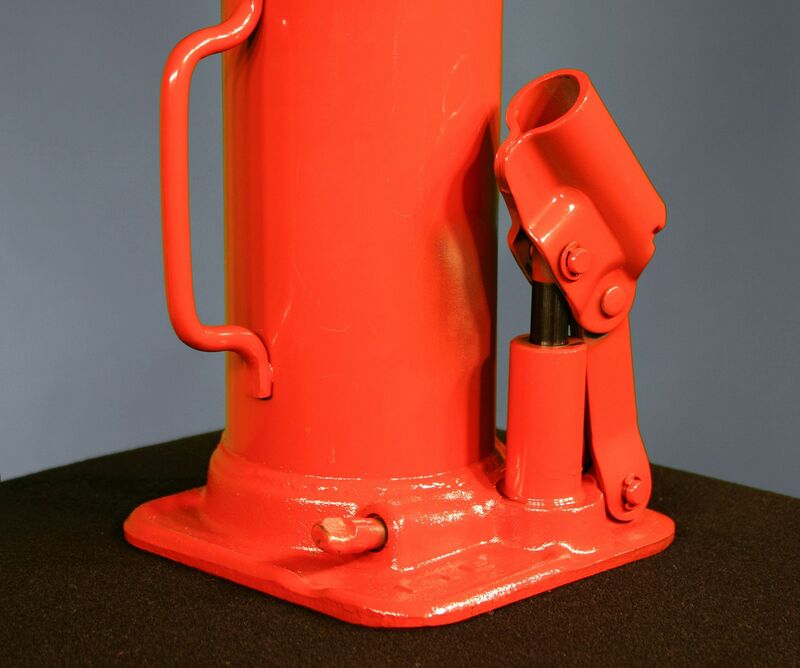 Take a look at the top weld of the body to the collar and below where the weld connects the body of the bottle jack to the forged steel base. So, how is this different from our competition? I’ll answer the question with a question. How many times have you opened the case of those inexpensive bottle jacks to find the packaging soaked with jack oil? The answer, of course, is far too often. You will find that most of those cheap import competitors use a bottle jack body that is threaded into the base and the collar assemblies. Whenever you see threads, you should think, “leak-path.” Welds cost more but, again, the welds on the NORCO / KYB bottle jacks ensure leak free performance for the life of the product. Second, relates to precise engineering of the product. Our precision machined internal oil passages and smooth bearing services have all been created with precise, close, tolerances. It is through this precise manufacturing process that we can guarantee superior out of the box quality and performance. Because our jacks are used in a wide variety of industries, the NORCO / KYB bottle jacks have been designed for performance but built for extremes. 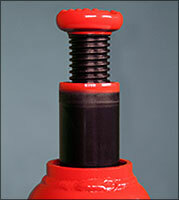 The pump piston, ram, and extension screw in each NORCO / KYB bottle jack has been “Parkerized” to prevent rust and to increase the metal’s resistance to wear, even in damp, abrasive, environments. 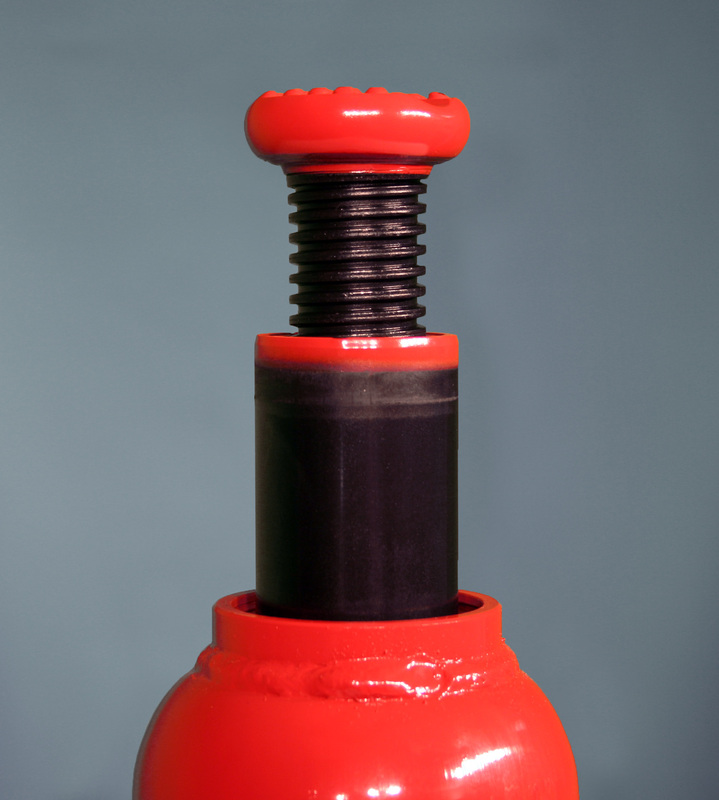 The cold-headed extension screw and the unique design o f the release valves reduce the number of moving parts which reduces the chance of breakage and excessive wear. With the safety of the user in mind, the oil by-pass system prevents the ram from being overextended to cause damage to the cylinder. It is through this precision engineering that allows us to offer a 50% overload factor into every NORCO / KYB bottle jack. 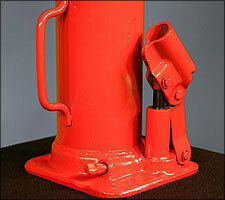 Bottom line, if you looking for a bottle jack that works, you’ve come to the right place!